Washington D.C., May 24, 2018 - The controversial Article VI of the Non-Proliferation Treaty, requiring "good faith" disarmament measures, arose from the "fear" by non-nuclear weapons states "of being frozen indefinitely into second class status," according to newly declassified U.S. documents about the NPT negotiations posted today by the National Security Archive to mark the Treaty's 50th anniversary. Today’s posting continues the Archive’s coverage of the history of the NPT by presenting U.S. documentation on the negotiation of its controversial Article VI, under which “Each of the Parties to the Treaty undertakes to pursue negotiations in good faith on effective measures relating to cessation of the nuclear arms race at an early date and to nuclear disarmament, and on a treaty on general and complete disarmament under strict and effective international control.” The language spoke to concerns about the U.S.-Soviet arms race, apprehension about the very existence of nuclear weapons, and widespread support for the goal of comprehensive disarmament--eliminating weapons of mass destruction and scaling back conventional armaments--although both U.S. and Soviet policymakers found the goal virtually nonnegotiable. The Mexican ambassador to the disarmament talks in Geneva, Jorge Castañeda y Álvarez de la Rosa, presented first drafts of other articles designed to appeal to the interests of the NNWS. 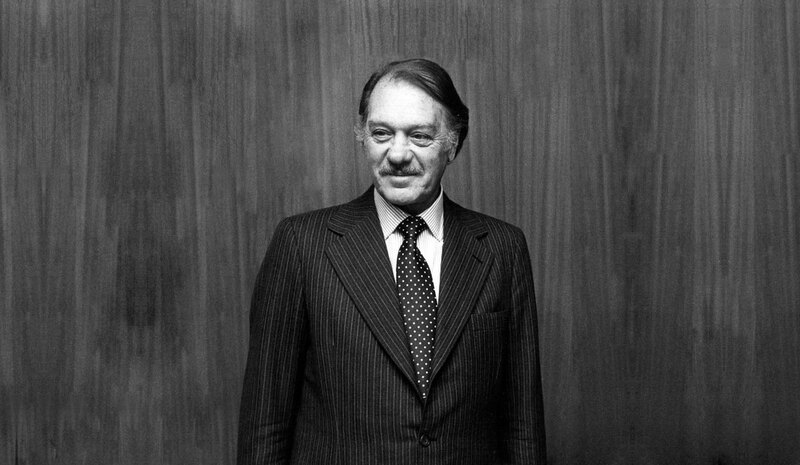 One was an article validating the creation of nuclear weapons free zones (Article VII), such as the Latin American nuclear free zone, which Mexico had played a key role in negotiating. Another was to ensure that the “potential benefits” from the “peaceful application of nuclear explosives” would be made available to NNWS. Mexico also offered a revised version of Article V to ensure the fullest opportunity for NNWS to benefit from the potentials of peaceful nuclear technology. Declassified U.S. records document the painstaking effort by U.S. and Soviet negotiators Adrian Fisher and Alexei Roshchin at the Conference of the Eighteen Nation Disarmament Committee [ENDC] to reframe Castañeda’s proposals in order to make them acceptable to both Moscow and Washington as well as to the other members of the Committee. Having already included references to nuclear disarmament in the NPT’s preamble, the US and the USSR accepted the proposals mainly to build support for the treaty, but they were willing to accept Article VI obligations because proposals relating to nuclear disarmament were already on the agenda such as a comprehensive test ban and a fissile material production cut-off. 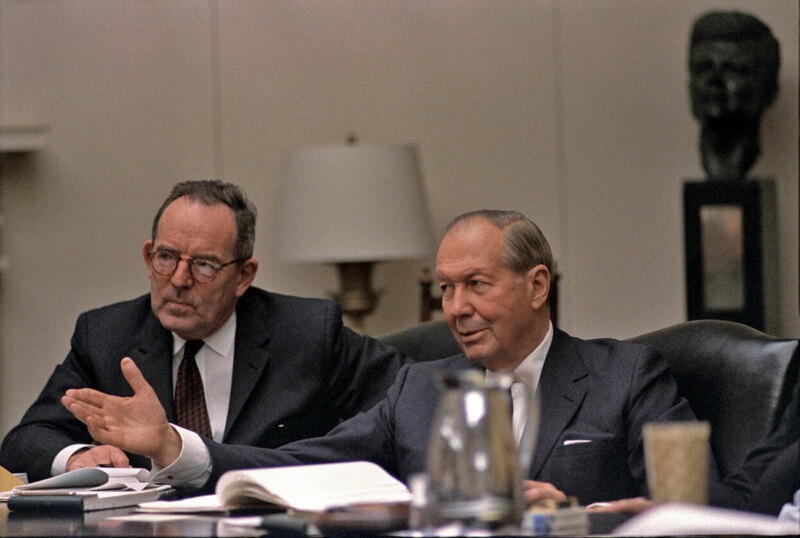 American and Soviet negotiators agreed that the Mexican amendments and the supporting Swedish contribution several months later were important to winning the support of the NNWS/nonaligned nations. To assure that no votes were lost, Moscow and Washington accepted changes in wording even after they had tabled the treaty. Nevertheless, they realized that even an article on disarmament was not enough to assure the support of the NNWS, which also sought other changes, such as a provision for periodic review conferences through which signatories could evaluate progress toward realizing the treaty’s goals, including nuclear disarmament. Overseas archives could shed light on the impact of the Mexican amendments and other changes on the thinking of the NNWS, although some of the latter may have already concluded that an NPT could add to their security by keeping their regions nuclear weapons-free. By contrast, some states such as India refused to sign on because the NPT left intact the imbalance between the NWS and the NNWS. The other amendments to the NPT that the Mexican government inspired have involved varying degrees of controversy. Article VII on nuclear free zones has been important and the source of diplomatic initiatives leading to the creation of the African and the South Pacific nuclear weapons free zones. Article V on peaceful nuclear explosives was the subject of complex negotiations, but it has been virtually a dead letter because of the basic U.S. government policy that explosive devices were the same as nuclear weapons and involved the same risks to public health and safety. Article IV, on peaceful uses of nuclear energy, to which the Mexican government contributed language, has been a major source of contention because of differences over interpretation. Industrial NNWS such as Italy and West Germany opposed any restrictions on the development of peaceful nuclear industries, as did developing NNWS. While the Mexican government proposed language that the NWCS had a “duty” to provide nuclear technology, both Moscow and Washington rejected notions of obligation, although they agreed with a Nigerian proposal that the NWS could “facilitate” peaceful development. The U.S. government’s public position was that nuclear activities that were very closely associated with developing a weapons capability, such as plutonium reprocessing, were compatible with peaceful uses as long as they were safeguarded. Nevertheless, to discourage nuclear proliferation, Washington worked with European allies to impose export and secrecy controls over sensitive technology, such as gas centrifuges for uranium enrichment. To that extent, Washington hedged on the scope of the technology and information sharing that it deemed compatible with Article IV. Over the years, especially after the 1974 Indian test, the U.S. government worked with others in imposing even more restrictive approaches to the dissemination of technologies that could be used for producing fissile material. Iran and other non-nuclear parties to the NPT have argued that the “inalienable rights” language of Article IV includes the right to enrich uranium and reprocess plutonium. The Joint Comprehensive Plan of Action signed by Iran and the P5+1 in 2015 does not dispute that but imposes tight controls and restrictions on Iranian enrichment and reprocessing activities. By contrast, under a 1988 agreement the United States confirmed Japan’s right to reprocess plutonium. Thus, political criteria, for example, whether an NPT signatory has ever pursued a nuclear weapons program, have to some extent defined the scope of Article IV activities. Post-Cold War Moscow and Washington made substantial progress in reducing their nuclear arsenals to 85 percent below Cold War levels, but their nuclear arsenals remain substantial. During the 1990s, the Clinton administration supported negotiations over two major proposals relating to the nuclear disarmament agenda—the comprehensive test ban treaty and the fissile material production cut-off. The test ban negotiations were successful, but the U.S. Senate blocked ratification of the treaty, while India-Pakistan rivalries and a lack of international consensus on verification hobbled the cut-off talks. The arms control community generally criticized the George W. Bush administration’s record on nonproliferation for taking a restrictive interpretation of Article VI, for seeking to develop new nuclear weapons, and for the breakdown of negotiations with North Korea. Favoring a different approach, Barack Obama came to office calling for movement toward nuclear abolition; the administration’s first Nuclear Posture Review supported reducing the threat of nuclear weapons and working for the long-range goal of a nuclear-free world. Nevertheless, efforts on the fissile cut-off remained stymied, while no action was attempted on the test ban treaty. Moreover, the New Start II agreement on strategic forces cuts with Moscow went hand-in-hand with nuclear modernization programs that the Republican Senate made even more expensive. Meanwhile, India and Pakistan increased their nuclear arsenals and North Korea’s weapons program developed unchecked. By the close of the Obama administration, disappointment with the failure of the NWS to make progress on Article VI contributed to the growing support for the nuclear weapons prohibition treaty, which the United Nations approved in July 2017. Controversy over Article VI continues in the preparations for the 2020 NPT review conference, with some NNWS arguing that nuclear modernization contravenes the Article while the NWS claim they are doing the best they can. Meanwhile, the Trump administration has won approval for higher levels of spending on nuclear modernization while joining other NWS in criticizing the ban treaty. That the NWS continue to downplay Article VI could have damaging consequences for the nuclear nonproliferation regime, which is already under stress owing to uncertainties over Iran and North Korea. 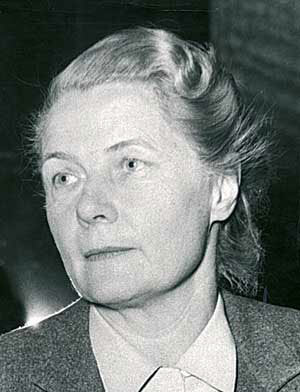 Swedish diplomat Alva Myrdal, head of the Stockholm’s delegation to the Conference of the Eighteen-Nation Disarmament Committee, offered amendments to the NPT, including Article VI.
. For Mexico’s role in nuclear negotiations during the 1960s, see Jonathan Hunt, “Mexican Nuclear Diplomacy, the Latin American Nuclear Free Zone, and the NPT Grand Bargain,” in Roland Popp, Liviu Horowitz, and Andreas Wegner, eds., Negotiating the Nuclear Non-Proliferation Treaty: Origins of the Nuclear Order(London: Routledge, 2017),178-202.
. For a fine-grained account of the making of the treaty, based on the open public record, see Mohamed I. Shaker, The Nuclear Non-Proliferation Treaty: Origin and Its Implementation, 1959-1979, 2 volumes (London, Oceana Publications, 1980).
. James Acton, “What Does Article IV Mean?” Arms Control Wonk, 22 August 2008; William Burr, “To ‘Keep the Genie Bottled Up’: U.S. Diplomacy, Nuclear Proliferation, and Gas Centrifuge Technology, 1962–1972,” Journal of Cold War Studies19 (2017), 115–157.
. Arka Biswas. “Iran Deal, NPT and the Norms of Nuclear Non-Proliferation,”The Diplomat, 18 February 2016.
. For “grand bargain,” see for example, Leonard Weiss, “Nuclear-Weapon States and the Grand Bargain,” Arms Control Today, 1 December 2003; Matthew Harries, Disarmament as Politics: Lessons From the Negotiation of NPT Article VI, Royal Institute of International Affairs, Research Paper, 13 May 2015. The “grand bargain” was only one of the deals that made the treaty possible, e.g., the EURATOM understanding with Moscow and Washington on IAEA safeguards and the U.S.-Soviet agreement over Articles I and 11).
. For “grand bargain,” see for example, Leonard Weiss, “Nuclear-Weapon States and the Grand Bargain,” Arms Control Today, 1 December 2003; Matthew Harries, Disarmament as Politics: Lessons From the Negotiation of NPT Article VI Research Paper, 13 May 2015, Royal Institute of International Affairs.The “grand bargain” was only one of the deals that made the treaty possible, e.g., the EURATOM understanding with Moscow and Washington on IAEA safeguards and the U.S.-Soviet agreement over Articles I and 11).
 . For thinking that informed the Bush administration’s approach, see Christopher A. Ford, “Debating Disarmament: Interpreting Article VI of the Treaty on the Non-Proliferation of Nuclear Weapons,” The Nonproliferation Review 14 (2007): 401-428. For examples of criticism from the period, see Joseph Cirincione, “Strategic Collapse: The Failure of the Bush Nuclear Doctrine,” Arms Control Today, 3 November 2008; Declan Butler, Bush's legacy: The Wasted Years, Nature, 14 January 2009.
. Kingston Reif, “New START and Nuclear Modernization,” The Center for Arms Control and Non-Proliferation, 15 December 2010. See also, Don Cook, “An Insider’s View of Nuclear Weapons Modernization,” Arms Control Today, October 2016, which shows decreases in the destructive power of the U.S. nuclear arsenal during the Obama administration.
. For the ban treaty and its implication, see Edward Ifft, “A Challenge to Nuclear Deterrence,” Arms Control Today, March 2017, and Hugh Gusterson, “The Nuclear Weapons Ban Treaty (Not) In the News?,” The Bulletin of the Atomic Scientists, 14 July 2017.
. Alicia Sanders-Zakre, “Cluster 1 Revives Article VI Concerns, Shows Potential Cooperation on Interim Measures,” Arms Control Today, 27 April 2008; Lynn Rusten, “The Trump Administration’s ‘Wrong Track’ Nuclear Policies,” Arms Control Today, March 2018.
 . On Japanese public opinion, see, for example, Akira Kurosaki, “Japanese Scientists’ Critique of Nuclear Deterrence Theory and Its Influence on Pugwash, 1954-1964,” Journal of Cold War Studies 20 (2018), 111-117.
. Popp, Horowitz, and Wegner, Negotiating the Nuclear Non-Proliferation Treaty: Origins of the Nuclear Order, 24.